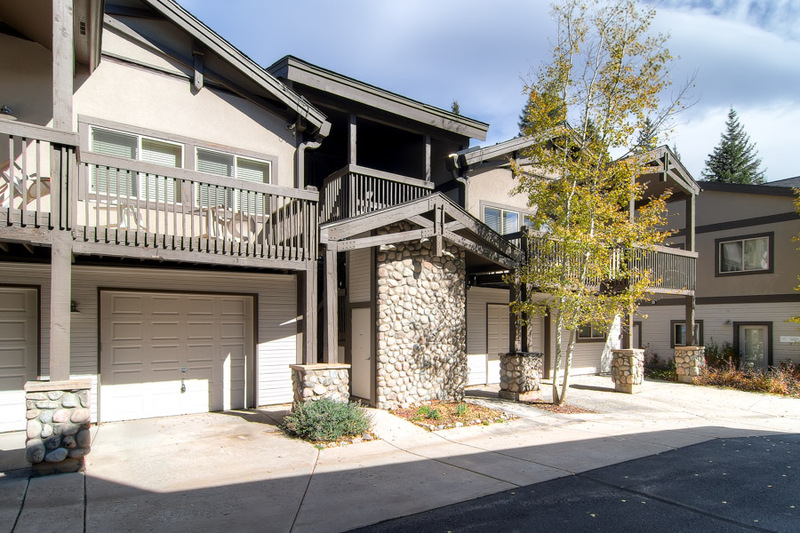 This beautiful 3-bedroom, 3.5-bathroom penthouse condo is a perfect mountain escape for families or groups of up to 9 people. 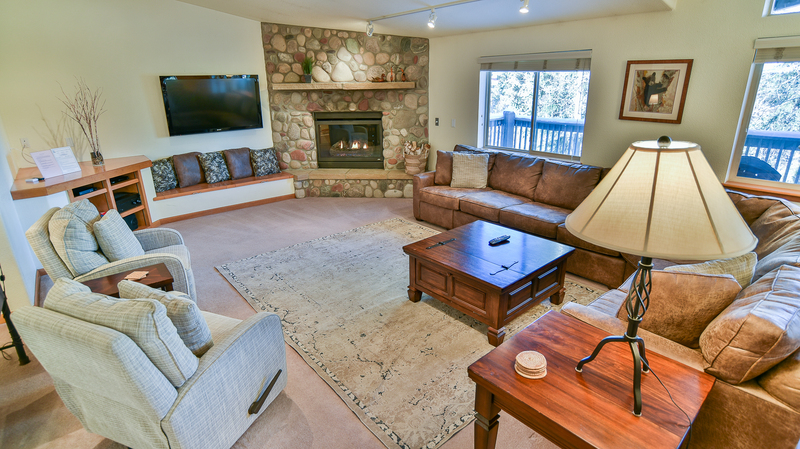 Located just off Main Street in Frisco, it’s right in the heart of Summit County. You can easily walk to all the shopping and dining on Main Street, and you’re three blocks to the shuttle to all of the world-class resorts surrounding Frisco. 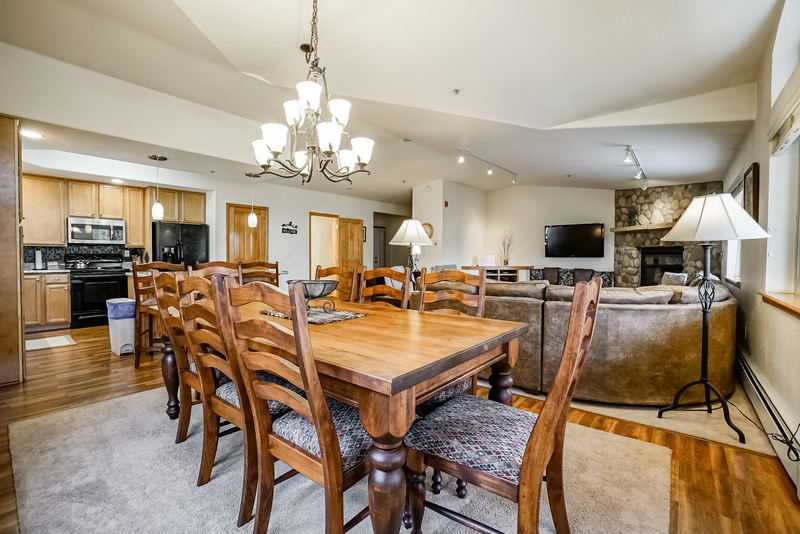 This condo is next a fork of the Ten Mile Creek, making it a perfect spot to wake up to the soothing sounds of the creek while taking in the fresh mountain air! 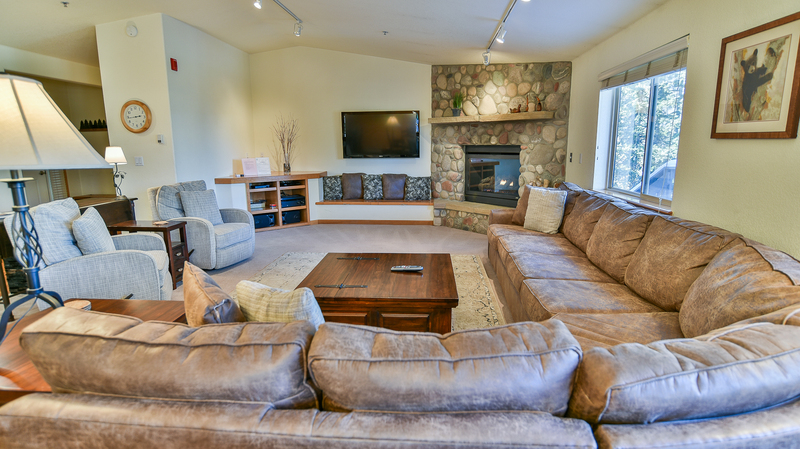 The spacious, open living room has a floor-to-ceiling gas fireplace and plenty of seating to enjoy the large LCD TV after a long day on the mountain. 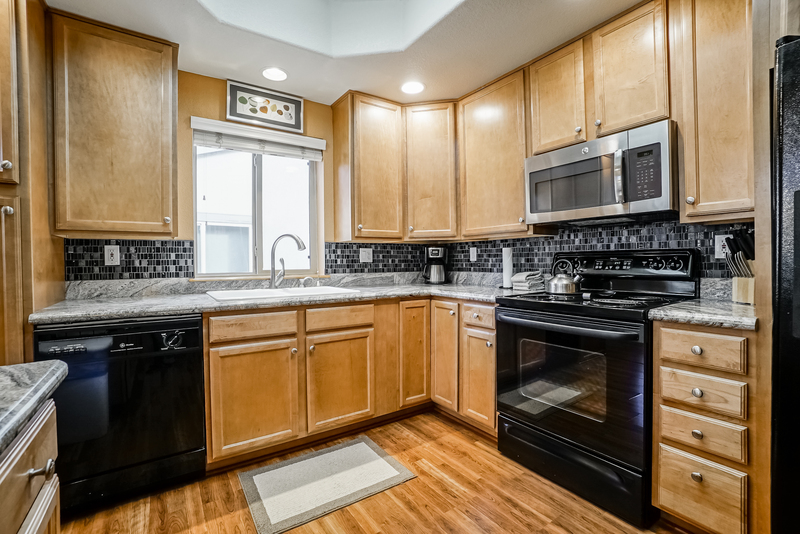 The fully equipped kitchen has been remodeled with granite countertops; there’s seating for eight at the dining table and another three at the center island. 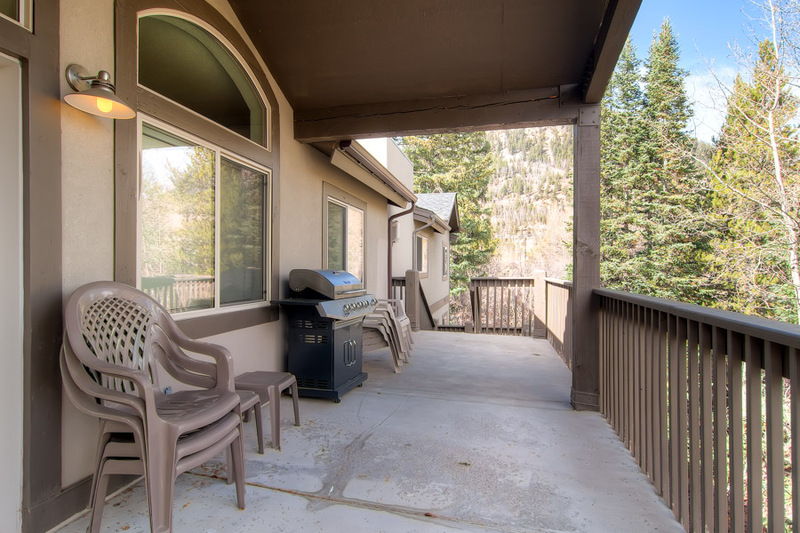 Step out onto the balcony overlooking the creek and enjoy mountain views while cooking on the gas grill. 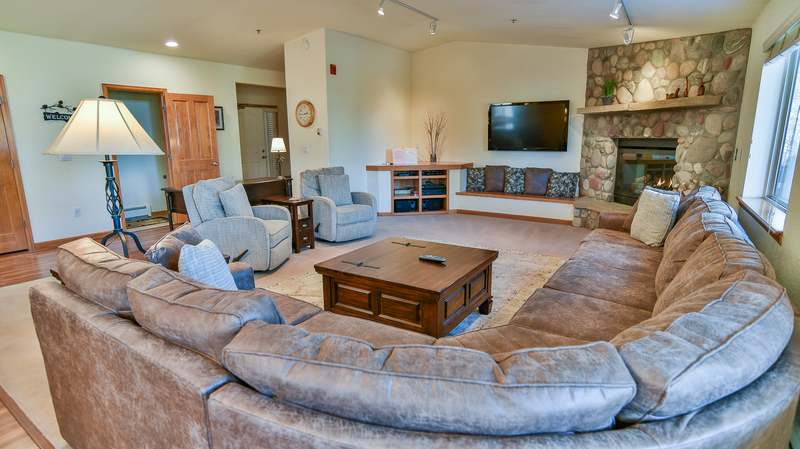 Other amenities include an in-unit washer & dryer, complimentary Wi-Fi, parking for 2 vehicles, and a ski locker. 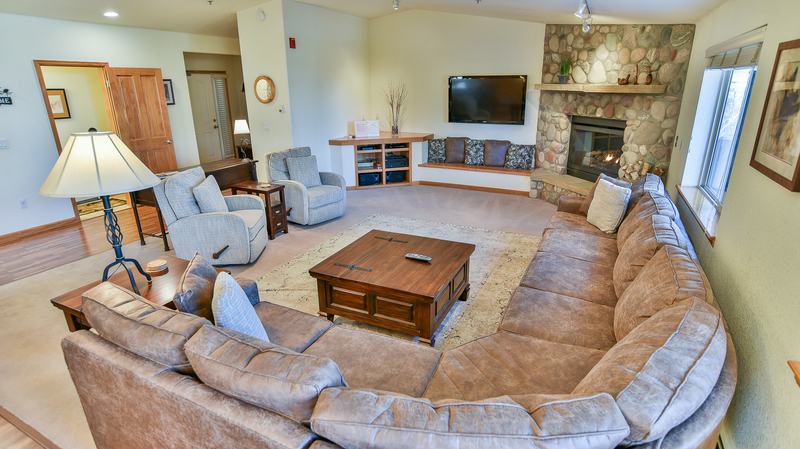 Guests also have access to the on-site clubhouse with indoor and outdoor hot tubs as well as a pool, sauna, pool table and a conference room. There’s even an outdoor picnic area with tables and BBQs next to the creek! 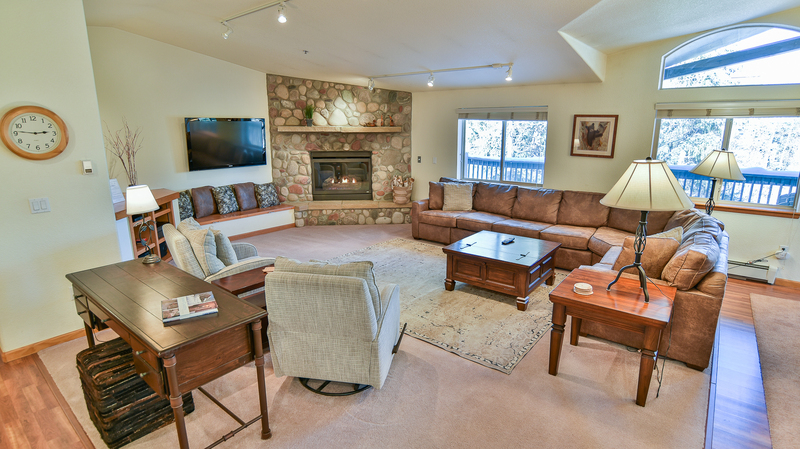 If you’re looking for a great location for your mountain vacation, you’ve found it with Cross Creek Penthouse. Call or book online today! 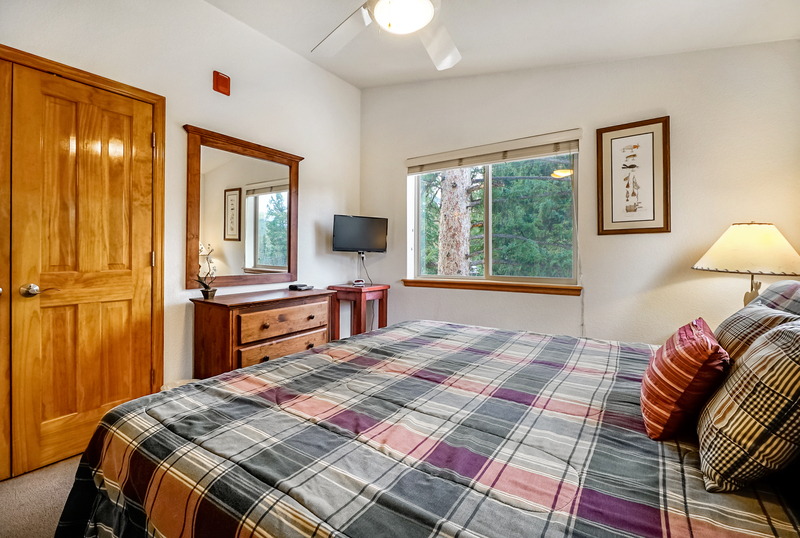 Master suite: king bed, private bathroom with jetted tub/shower, LCD TV. King suite: king bed, private bathroom with tub/shower, LCD TV. 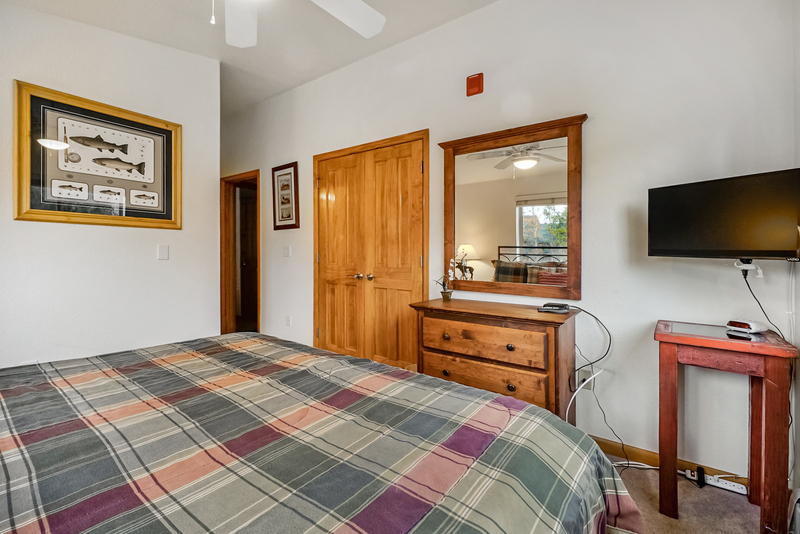 Bunk suite: captains bunk (twin upper, full lower), private bathroom with tub/shower, LCD TV. Living area: queen sleeper sofa. A $500 refundable damage deposit will be charged to credit card at check in. Parking: 1-car garage, 1 outdoor space - 2 spaces total. No air conditioning. All units include at least one fan. PLEASE NOTE: This is a third-floor, walk-up condo. We'd love to hear from you! Please take a few moments to comment on your stay. Stay here anytime you can! Plenty of room, great location tucked away off of main street, very clean, and very well equipped form kitchen utensils to humidifiers. This was an awesome rental for our family. 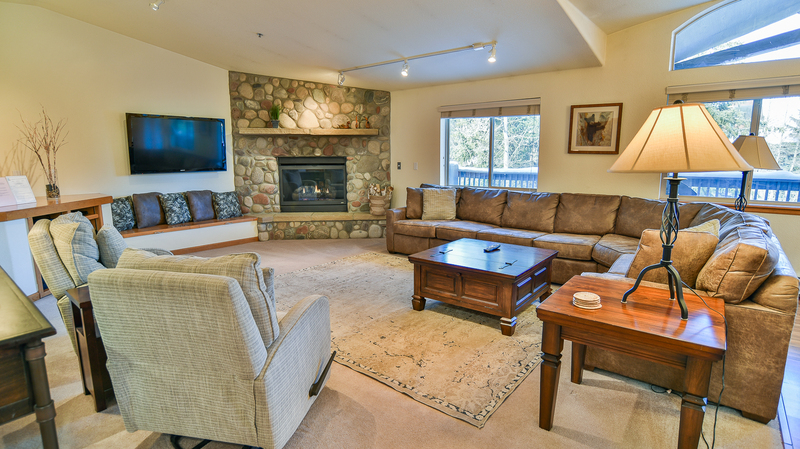 We have rented many times from Summit Mountain and this is the best within our price range so far. We really loved this condo. Even the beds were comfortable. If I had to come up with a negative it would be that all 3 bedrooms were together at one end of place. You have to hike steps to get to unit but once there you can relax because everything is on the same level which we like. If not for the bedroom layout it would be my first 5 star rating. I give it a solid 4.5 stars. Thank you for your feedback Ric. We are glad you enjoyed your stay with us. A beautiful spacious house for all 6 of us! I loved this rental and especially loved my morning coffee on the deck! I just wished the pool and hot tub were open later than 10:00 pm. Hi Michelle. Thank you for your feedback! We are happy you enjoyed your stay! This condo is so nice! Loved that each room had their own bath. Kids loved the bunk bed & kids collection of movies. Great to be walking distance to the main street in Frisco. Would stay here again!! 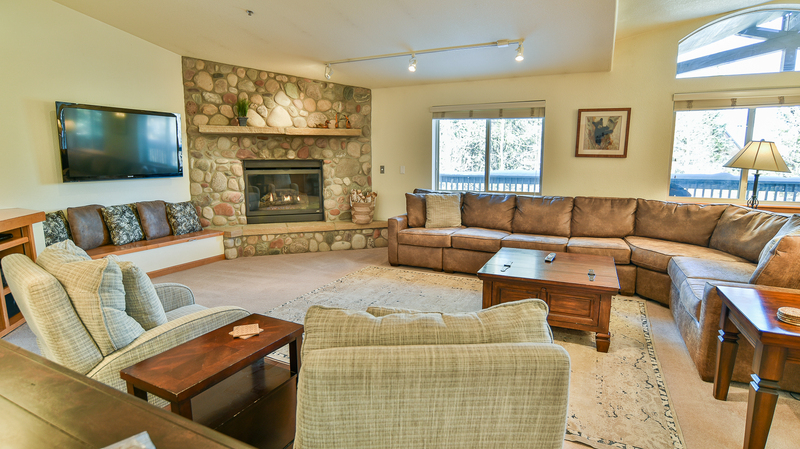 A huge place to stay with everything you can imagine for a bunch of ski enthusiasts. The Penthouse was a very clean facility. Frisco was well located to explore some ski resorts around (e.g. Beaver Creek, Breck, Vail, A-Basin). Thank you for your feedback Ueli! We loved our stay. 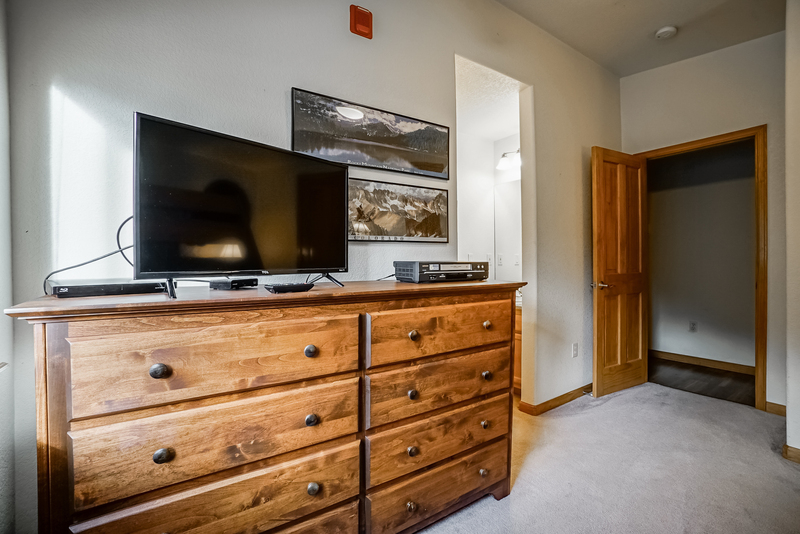 The location is great- close to down town Frisco but also far enough away for a quiet peaceful stay. 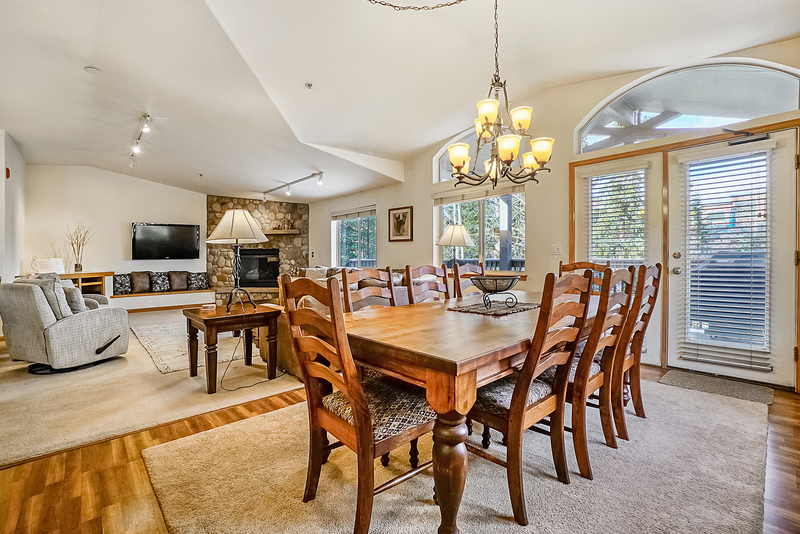 The condo is gorgeous and perfect for a big group. Could do with a few more items in the kitchen but otherwise no complaints. Thank you for your feedback Grace! We are very happy that you enjoyed your stay and I have asked our inspectors to do a kitchen inventory to see if there is any items that are needing to be restocked in the kitchen. Awesome relaxing stay in beautiful condo. On 3rd floor, but once there it is conveniently all on one level. Thank you for your feedback Wendy! We are very happy that you enjoyed your stay at the Cross Creek Penthouse. We look forward to hosting you again in the future. Spacious Condo in a Great Location! This was our fourth ski trip staying with SMR in as many years. 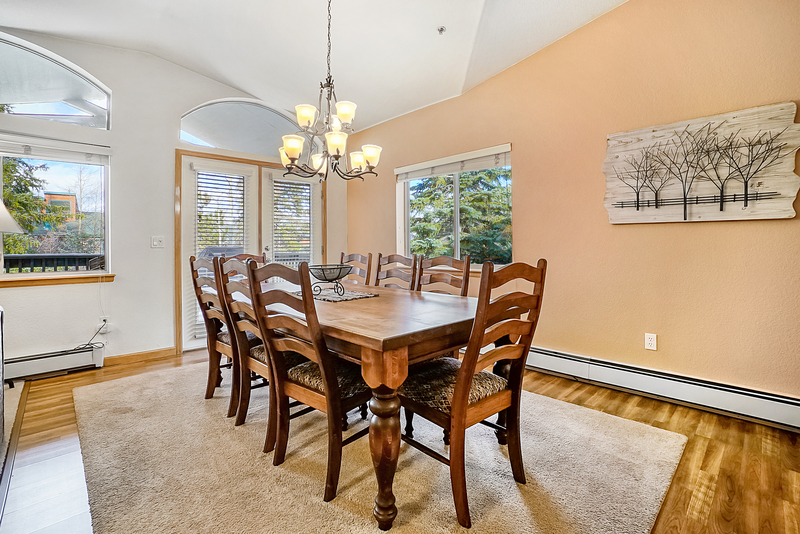 Cross Creek Penthouse is our favorite condo to date (the other SMR condos have been great, but this one was perfect). If you plan on visiting multiple ski resorts (We ski’d Breck, Keystone, and Vail), you couldn’t ask for a better location. 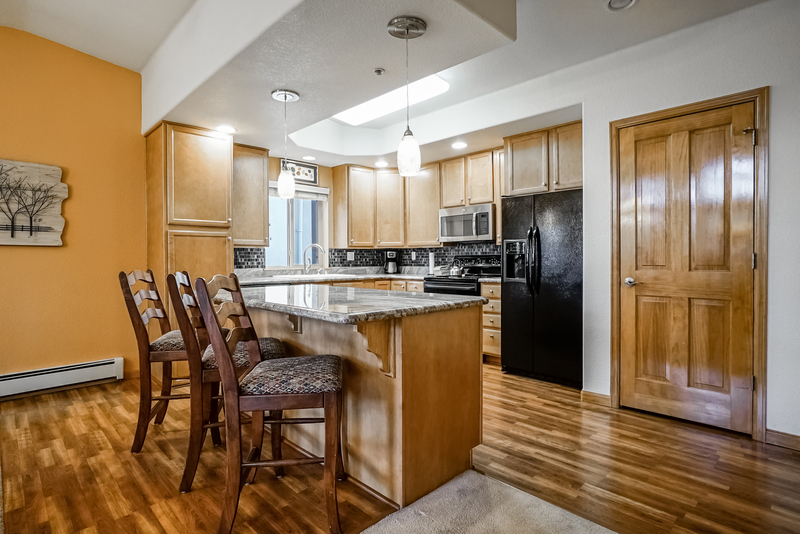 This condo has easy access to I-70 and is walking distance to the shops and restaurants on Frisco’s Main Street. 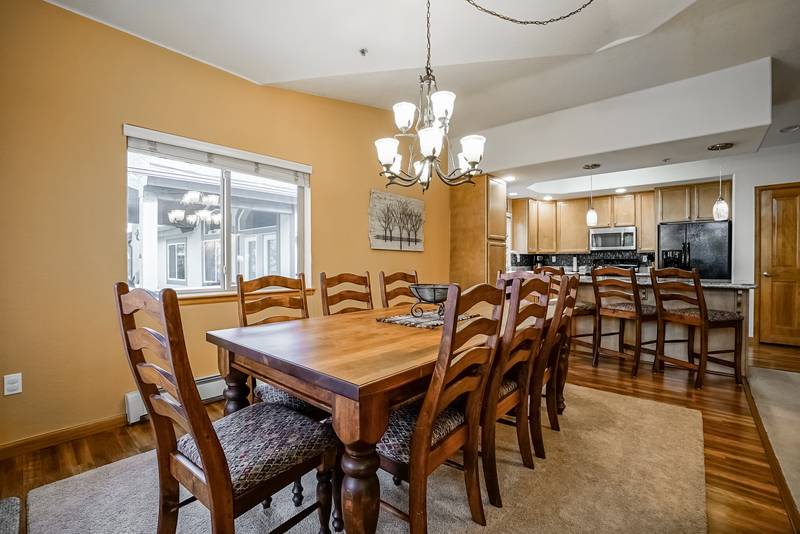 The kitchen/dining/living room area is much larger area than the photos suggest, It’s great for unwinding with your group after a long ski day. 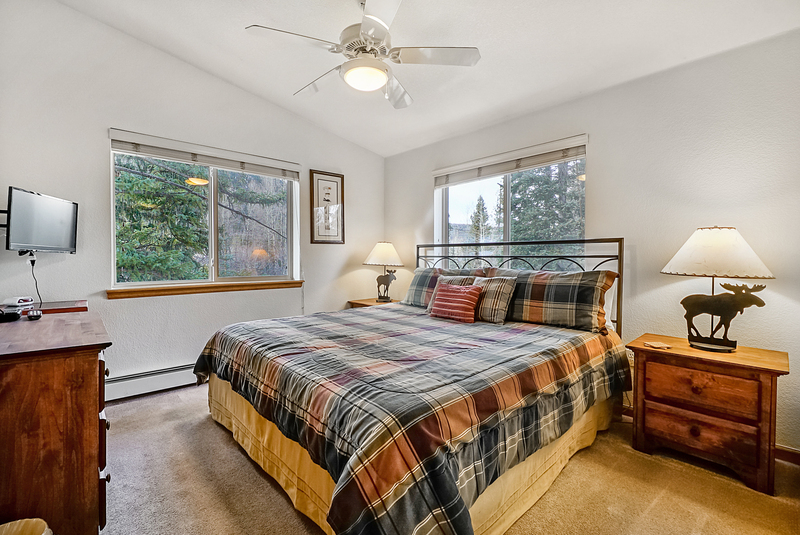 The three bedrooms are very spacious and having a bathroom in each of the bedrooms makes getting ready for the day a breeze. The one minor drawback to this unit are the stairs (this unit is on the third floor). 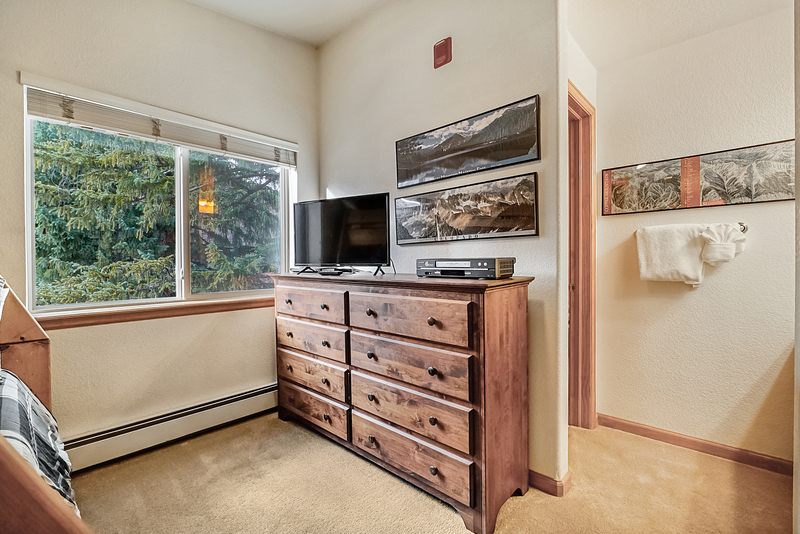 But, with the garage and separate closet for your ski’s/poles/boots on the ground floor, the only thing you have to lug upstairs are your legs, not your gear. When we return next year, this condo will be the first place we check for availability. Thank you very much for this feedback Trent! We are always happy to hear that your party enjoyed your stay. We look forward to hosting you again in the future! 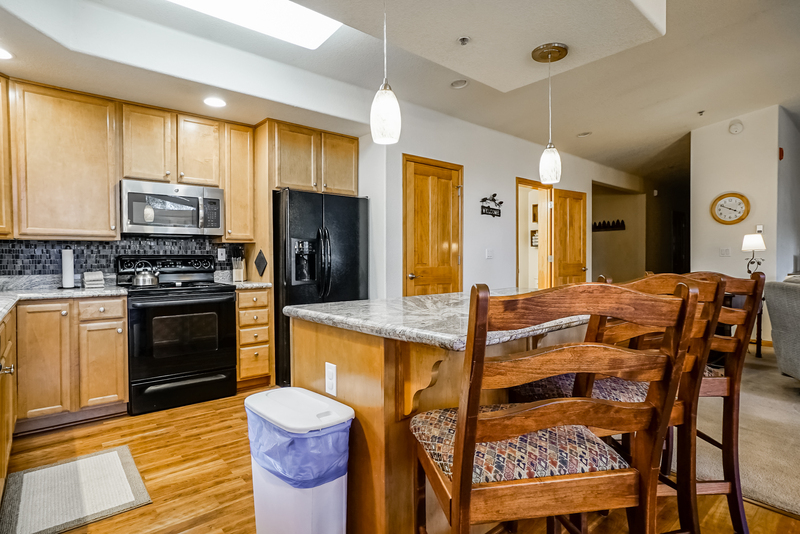 Great condo, easy walk to 'town', 30 minutes from all the ski resorts...the kitchen even had an avocado slicer! Everything had been thought of...note - getting to the penthouse requires climbing 3 flights of stairs...if that makes you nervous stay home - this place is AWESOME! Thank you very much for this feedback Brad! We look forward to hosting you again in the future! 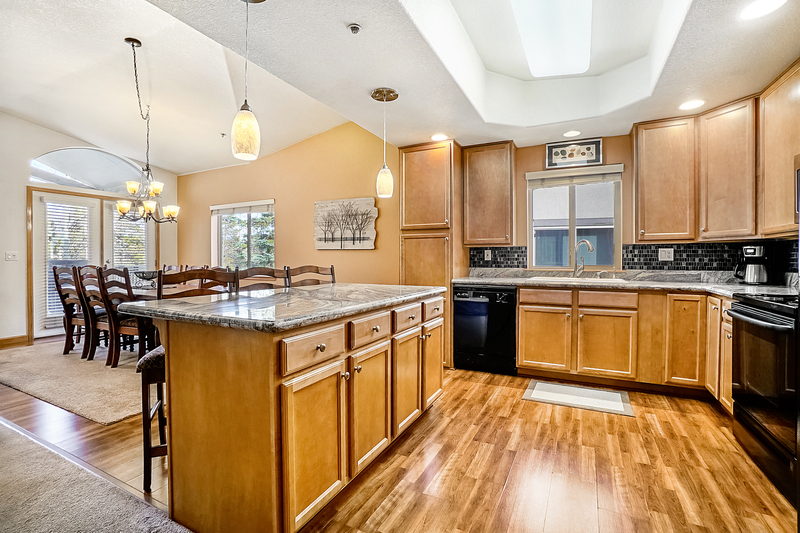 Spacious condo that you can't overlook!!! We really enjoyed our stay in Frisco. Summit Stage is close and convenient. A short walk down main street offers restaurants and shopping. Thank you very much for this feedback Brian! Thank you very much for this feedback Todd! We have stayed in this unit several times. We like the layout and location. Hi Carl, we're so glad you enjoyed your stay, and we appreciate you returning to stay with us. Thanks for your feedback. We hope to see you again soon! Will come back and stay here again. If you don't mind stairs this is a great unit. Good deal too, because of the stairs. Tasteful decor, roomy. Please replace the can opener! (I've asked for two years). More dishes and glasses would be nice. Nice that there are spices, salt, pepper, etc. Some kind of vent ran in a locked closet that was pretty annoying, but I didn't mention it until we left so that's my fault, I'm sure they would have fixed it. Location is great. Thank you for your feedback Andrea! I have let our maintenance and housekeeping team know about your requests and they are on it! Thank you for bringing these issues to our attention. Very good. Great place to stay. It was great beautiful place! We appreciate your feedback on the Cross Creek Penthouse Condo and have found it to be one of our more popular Frisco properties. While we stock one tank in every grill and a back up for all units, it is possible that we did not leave the back up within easy access. We do answer our phones 24 hours and would have been happy to deliver a new one in minutes had we been notified-please feel free to contact us at any time. We hope you'll choose to return soon. 3rd year in a row renting from SMR, this was a great place for 8 of us. We skied breck, beaver, and copper. Would stay here again. For the group we had the penthouse condo met all of our needs. Very Nice, would stay again. Very pleased we rented this condo for the week. Nicely appointed, spacious unit. The living room/dining room and kitchen open space was fabulous for staying connected to everyone. 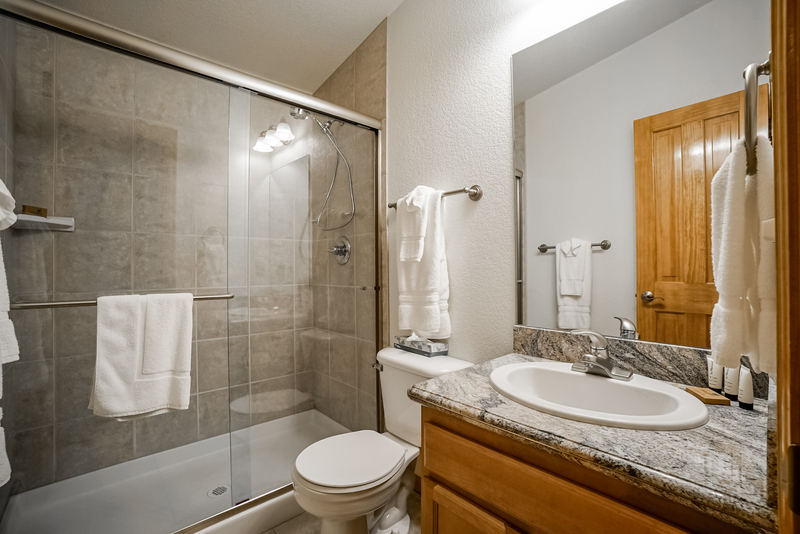 The ensuite bathrooms in each bedroom was very convenient for everyone! 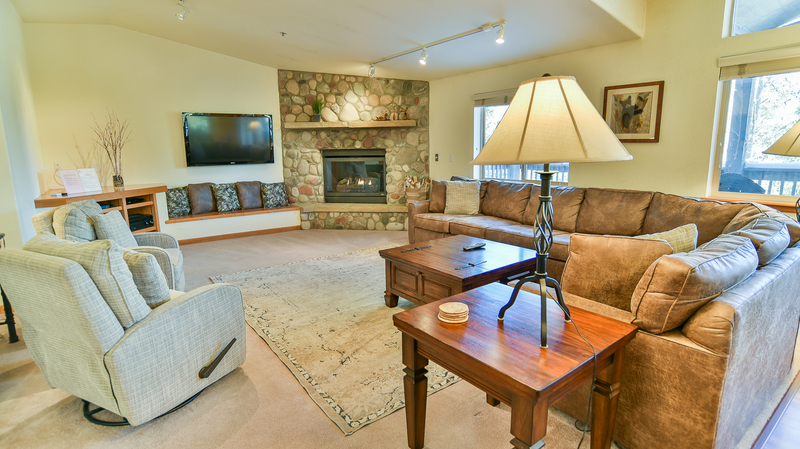 Easy access to Keystone, Breckenridge and Copper, as well as the quaint Frisco downtown within easy walking distance. Highly recommend renting this unit. Will return next year! Dear Ken-Thank you so much for your kind words. We are very happy you enjoyed your stay with us at Woods Manor 103B. We do hope to see you again in the mountains again, please call us directly to ensure we are booking you in the perfect location. Thank you again! Excellent location for skiing Summit County! 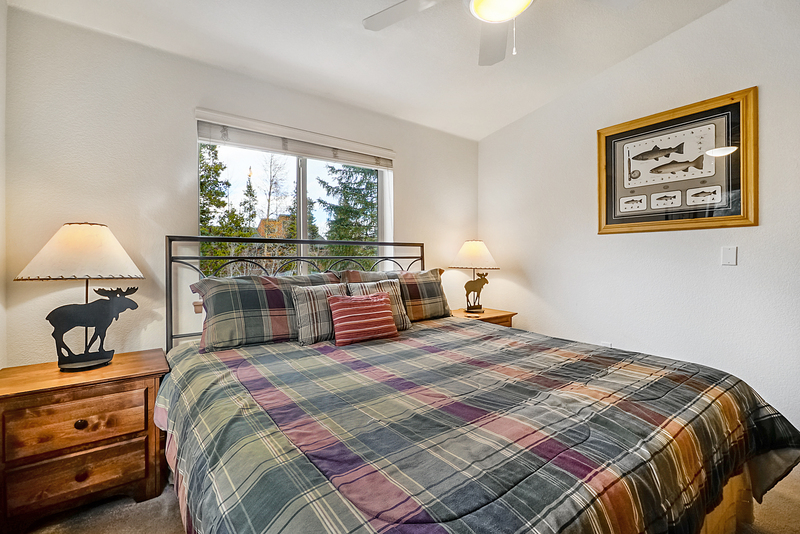 The Cross Creek Condo is good value for money. Spacious, good location, close to town but still quiet. 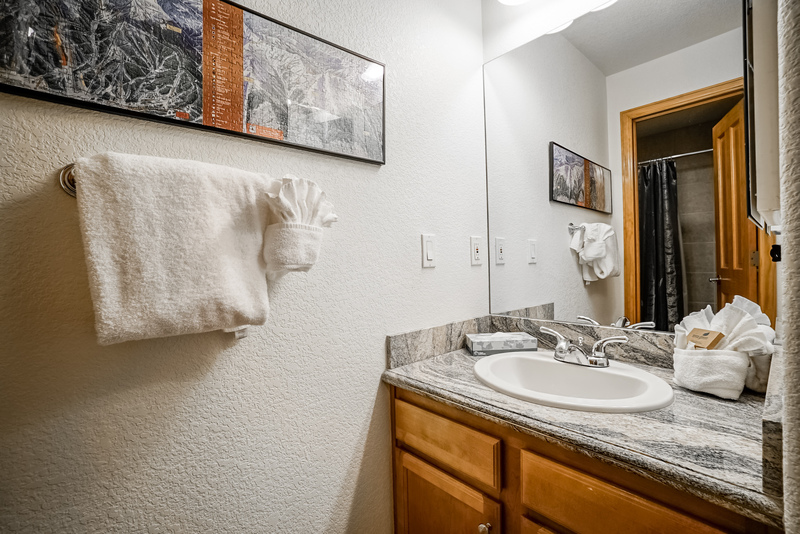 All amenities included which allows for a longer vacation, ie washer, dryer, towels etc. The rental management is seamless; a few emails, confirmation ok, no hassle on key-pickup. Good parking facilities for two cars, ski locker included. This is definetly a recommendation for skiing summit county, as we did Copper, Vail, Beaver Creek, Aspen and Silverton in 17 days in February. Props! Fun place to bring the family together to celebrate Jesus birth! Everything was good, it would be better if you provide better instructions to get to the apartment, (adress). Genaro-we appreciate the critique and provide both written directions and a map. Everything went very good. we were able to get into the property easy and with out any hang ups. enjoyed our vacation. Tanks for making it happen.